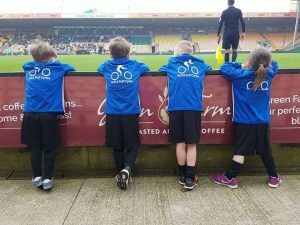 Under 6s big day out! 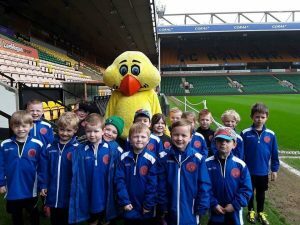 The under 6s had a day to remember on Sunday when they got to spend the day at Carrow Road. 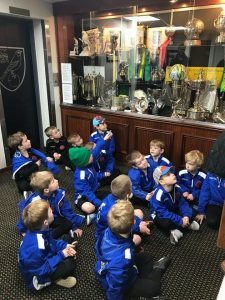 The youngsters had a tour of the ground and got to see the dressing room laid out so they got a real taste of what it’s like to be a professional footballer. 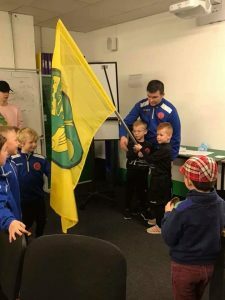 Following the tour and some lunch, the boys and girls then formed a flag waving guard of honour as Norwich City Under 23s entered the pitch to take on their counterparts from Wolverhampton Wanderers. 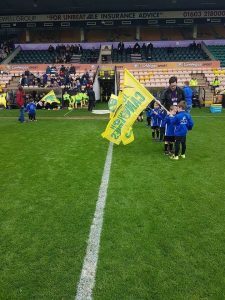 “The young boys and girls really did themselves proud” said coach David Craynor. 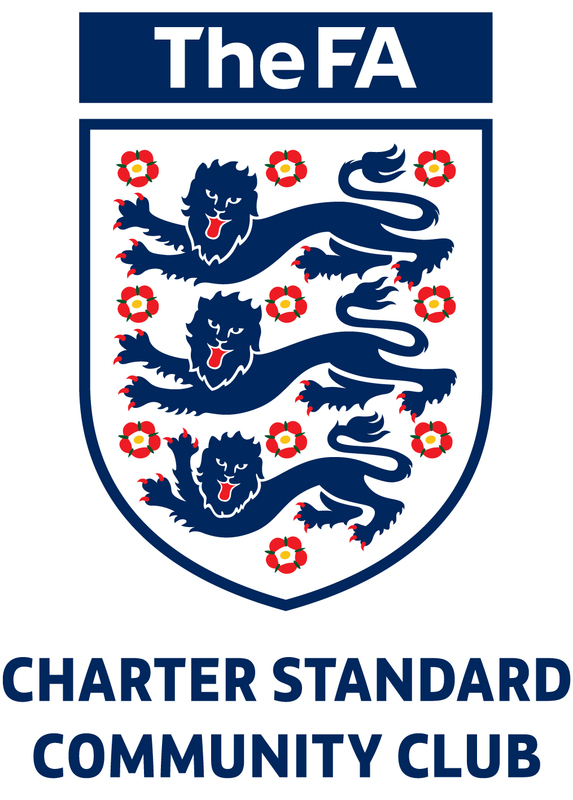 “They all took it in their stride and hopefully in a few years we will be coming back to see one of them playing for Norwich. 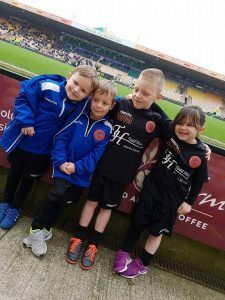 The under 6s are coming to the end of their first season with the club and already have three sponsors on board. This entry was posted in Under 6 on April 17, 2018 by AFCmanager.